The Renault Captur is one the new small SUVs to join the booming segment. 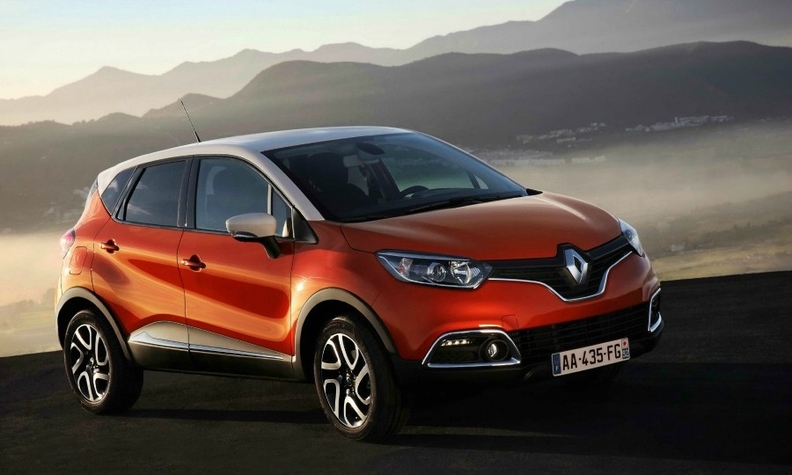 Renault may boost production of its Captur subcompact crossover by a third in 2014 as demand for small SUVs in Europe jumps. "We expect to make 120,000 units of the Captur by the end of this year. Next year, we could make up to 160,000 units if needed," Rochelle Chimenes, a spokeswoman for Renault, told Automotive News Europe. The comments come as IHS Automotive forecasts annual sales of subcompact SUV/crossovers will rise to 582,790 units in Europe by 2016 from 307,300 this year. In the first half, sales in the segment rose 38 percent to 213,804 vehicles, according to data from market researchers JATO Dynamics. The Captur, which began sales in April, is built at Renault's plant in Valladolid, Spain, and replaced the automaker's slow-selling Modus subcompact minivan. The crossover joined newcomers to the segment in Europe such as the Peugeot 2008, Chevrolet Trax and Opel/Vauxhall Mokka. The Captur has benefited from a growing consumer appetite for small SUVs and crossovers with sales of 60,887 in the first 10 months, making it the No. 3-selling small SUV in Europe, JATO figures show. The Nissan Juke led the segment with 91,713 sales followed by the Dacia Duster (73,491) with Mokka ranked fourth with a volume of 58,813. To keep up with the demand GM will transfer some Mokka production from its factory in Bupyeong, Korea, to Opel's factory in Zaragoza, northeast Spain, starting in the second half of 2014. Peugeot sold 39,663 units of the 2008 during the period, which helped it rise into the top five in the segment. In June, Peugeot CEO Maxime Picat announced that his company would respond to higher-than-expected demand for the 2008 by doubling monthly production of the small crossover to 10,000 units.